Are you frustrated with your puppy? 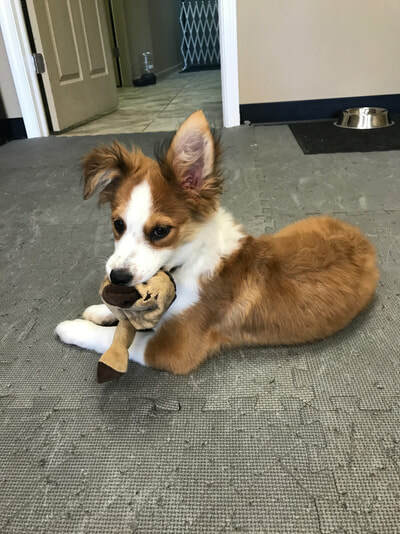 Are you exhausted/overwhelmed with taking your puppy out to potty all the time - only to have them go on the floor as soon as you get back in the house? Is the constant barking and jumping on everyone driving you crazy? 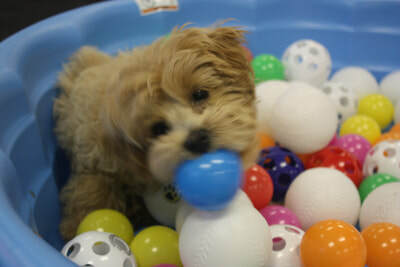 ​Wish your puppy wasn't chewing on everything? You know that having a dog can be so much more enjoyable and peaceful than it is now. You don’t want to give up… and now you’re in the right place! Your puppy can grow up to be a Great Dog! Imagine what your life will be like if you had a dog who didn't jump on guests every time they come over for a visit, didn't bark constantly, didn't steal food from the table, or didn't pee on the floor- right after you took them out. ​Your puppy can be that dog. Not all dog trainers are the same - some are good with puppies and not great at teaching their owners. We love people just as much as puppies, so we’ll talk together with you to come up with a plan together that fits your life and your preferences. 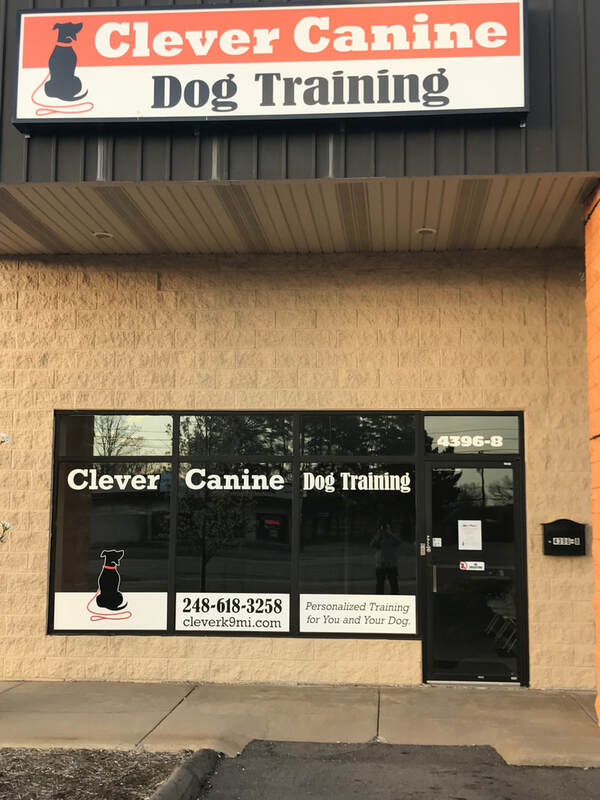 You can come to us for group classes, private training, or drop your dog off on your way to work and let us train your puppy during the day. 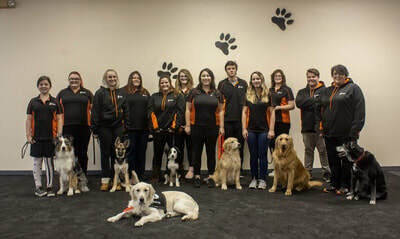 You can have a great dog even faster when you let us do the hard work for you with one of our Board and Train programs. Whether you need help with some of your puppy’s behaviors, or your puppy is just plain refusing to listen to you, that’s why we’re here. We know what it’s like and we’d love to help you just as we’ve helped so many others with puppy training in the Metro Detroit area. ​We cant wait to help you! Brought my 2.5-month-old GSD pup for his first training. It was literally like a day & night difference with just one session which lasted 1.5 hours. It was truly remarkable. I can't wait to see how well my pup becomes even more trained with 5 more personal sessions with unlimited group sessions. 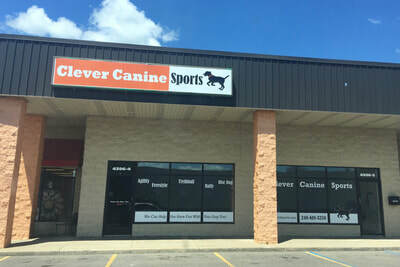 I highly recommend using Clever Canine and their crew for training. CLEVER CANINE IS ABSOLUTELY AMAZING! ​Clever Canine is absolutely amazing! I had never raised a dog before and soon learned that training our Yorkshire Terrier puppy, Candy, was more than I could handle. She has a definite mind of her own. Before I sent her to Puppy Boot Camp with Clever Canine, walks were a nightmare, she chewed on computer cords, and I was cleaning up a lot of messes in the house. I was afraid that if she got away from the leash or out of the house that she would take off. 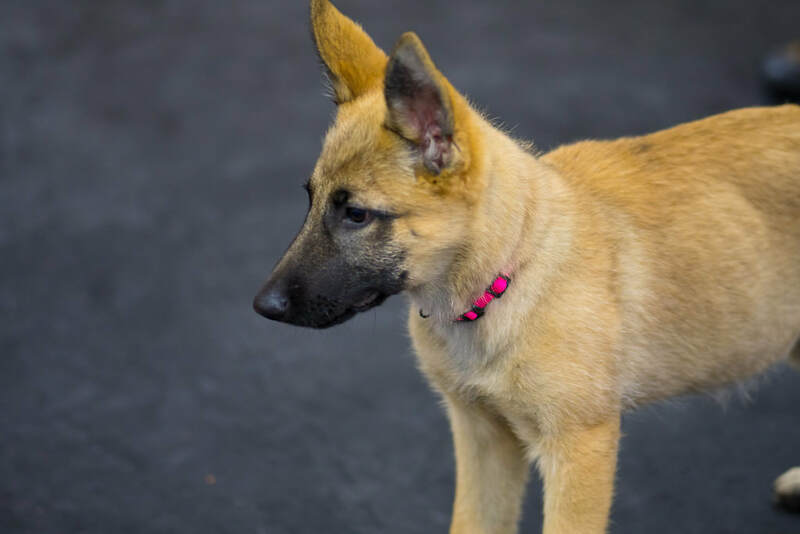 I was hesitant about sending a puppy off to Boot Camp, but Mandy took her into her home and gave her lots of love along with getting her problem issues under control. She also spent time working with me so that I could continue her training. Now she listens to me and my daughter, is house trained, and comes when she calls. Walks are the best part of the day — she walks beside me calmly rather than running off to sniff every blade of grade or pulling to follow cars home and say Hi to their owners. Clever Canine far exceeded my expectations for training Candy and giving us a great relationship with her that will last for many years to come. Clever Canine Dog Training provides puppy training to canine families in Oakland County Michigan and the entire Metro Detroit region. We currently have clients from all over Metro Detroit, Oakland County, Macomb County, Genesee County including the cities and towns of Waterford, Clarkston, Auburn Hills, Holly, Fenton, Grand Blanc, Flint, Lake Orion, Oxford, Rochester, Macomb, Sterling Heights, Troy, West Bloomfield, Bloomfield Hills, Royal Oak, Birmingham, Berkley, Southfield, Farmington, Farmington Hills, Livonia, Dearborn, Canton, Plymouth, Novi, Commerce, Milford, Brighton, and Howell. We can help you have a great dog too!